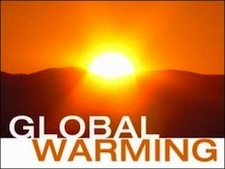 “Global warming is real,” reads the headline of an Oct. 21 article by James Delingpole on the blog of the UK’s The Telegraph newspaper, as well as another by USC Annenberg School of Communication & Journalism staff reporter Shea Huffman. Neither Delingpole nor Huffman are referring to this website, but rather to the results of an independent, comprehensive study of global temperature change since the 1950s led by UC Berkeley physics professor and now former self-professed climate change skeptic Richard Muller. The two articles couldn’t be more different in nature or tone, however. While Huffman’s piece is straight news reporting, Delingpole’s blog post is an editorial in which he proceeds to disparage not only the study’s science and data, but Muller’s motivations, and his being described a “climate change skeptic,” as deceiving and dishonest. Ironically, the three-plus year Berkeley Earth Surface Temperature study was funded in part by the Koch Brothers, billionaire industrialists and avowed proponents of climate change denial, noted The Christian Science Monitor in a news report. Berkeley Climate Study: Why all the attention? Why has this particular study attracted so much media attention? Why is it significant in terms of climate science? And what are the research team’s main conclusions? Let’s take a look. Well, besides being a hoped for but dashed “cause celebre” for climate change deniers and skeptics, the three-plus year study is touted as the first “non-partisan” study of climate change. The Berkeley Earth research team conducted a study independent of the the three institutions whose climate data and models are widely relied upon by the UN Intergovernmental Panel on Climate Change (IPCC) and the international climate science community. Climate change deniers and skeptics continue to deride the means and manner in which these institutions have carried out the scientific research that underlies climate change and global warming theory. To put it politely, much of the skepticism and denial just doesn’t hold up, nor does it do justice to or say much for the reliability or credibility of the climate science being being carried out at NASA’s Goddard Institute for Space Studies, the US National Oceanic Atmospheric Administration (NOAA), or the UK Met Office’s Hadley Centre, which works with the University of East Anglia’s Climate Research Unit, but there you go. The research scientists assembled by Muller are known as experts in the development and application of analytical methods to research situations in which data sets are fragmented and of varying, sometimes questionable, scope and quality. That’s been a point of contention that climate change skeptics and deniers have raised and continue to raise. Regarding the scope of the data set, models and other analytical methods and techniques, Muller and team made use of previously unavailable data that they were able to gather, clean up and organize for analysis. They devised their own customized methods of analyzing it. “The Berkeley Earth analysis is the first study to address the issue of data selection bias by using nearly all of the available data, which includes about 5 times as many station locations as were reviewed by prior groups,” commented Robert Rhode, lead scientist for Berkeley Earth. The research team analyzed temperature data from 15 sources, in some cases going back as far as 1800. In doing so, the Berkeley Earth Study “addressed scientific concerns raised by skeptics, including the urban heat-island effect, poor station quality and the risk of data selection bias,” according to the UC Berkeley news release. Though the most direct, it should be noted that direct temperature readings are not the only proven, reliable means of measuring past temperatures. The use of oxygen isotope analysis has been accepted as one such means for decades now, and it has been and continues to be used in longer-dated studies of climate change. So what does & what doesn’t the research team actually conclude? So exactly what did they conclude? To cut right to the chase, the research team found “reliable evidence of a rise in the average world land temperature of approximately 1 degree Celsius since the mid-1950s, according to the UC Berkeley news release. Ironically, that’s right in-line with the conclusions reached independently by NOAA, NASA and the Hadley Center, which found that land temperatures increased approximately 1 degree Celsius since the 1950s. In and of itself, that’s nothing new. It’s well-known and almost universally accepted by climate scientists and the broader scientific community that we’re living in the midst of comparatively benevolent climatic period known as an inter-glacial – a period of relatively warm average global temperatures between Ice Ages that have typically lasted around 10,000 years. Nonetheless, the study does provide independent, “non-partisan” confirmation that we’re in the midst of a global warming trend. That, in and of itself, is of scientific significance. Furthermore, it puts paid to claims that climate change studies by NOAA, NASA, the UK’s Met Office, the IPCC and other studies from the world’s leading climate research centers are doctored, as Texas government officials working for Republican presidential candidate and former Governor Rick Perry did to suppress and deceive the public interest. Muller and his team don’t go a step further and take on the question of whether or not man-made, or anthropogenic, CO2 is a or the main cause of this warming. That’s a significant omission and difference between it and the findings of the IPCC and numerous climate scientists working on their own and/or independently of the IPCC. So, it seems the team set out a more modest goal, which leaves something for skeptics and deniers to hang their hats on.